Alcohol, being among the most abused substances across the world, seems to be attracting more and more consumers by the day. The fact that there are hardly any legal jurisdictions that limit its production and consumption makes it more readily available even to children below eighteen years of age. What’s more, the adults consume and abuse it while they are in the celebration mood. Some find it right to abuse it during events like weddings, burials, after successful business meeting or deals and in traditional weeding such as those held in some countries in Africa. In all of this alcohol consumption, you may fail to understand the problems that arise due to regular intake of high levels of alcohol. Additionally, it is in these trends that you get to understand the various drinkers that the world holds. Some are moderators and thus are at less risks of falling into addiction, while others are on the verge of becoming alcoholics. Since alcohol is legal for persons above twenty one years, it has become quite available for many. Consequently, the majority of the American adults consumes or has consumed the drug at least once. Specifically, the National Institute on Alcohol Abuse and Alcoholism estimates that this percent could be around 87 of the adult population. Some facts from some organizations claim that moderate consumption of alcohol is healthy. However, how many people can really control their drinking to moderation, while knowing that they would like its effects? At the end of it all, most persons will go overboard since they believe it is impossible to just get addicted. 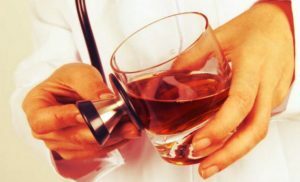 For you to suffer from alcohol withdrawal symptoms, you must have abused alcohol for quite a long time and further fallen into alcohol dependence. The lengthy and bad consumption of alcohol means that you have actually become a problem drinker. 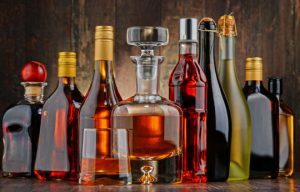 As any type of problem drinker, whether a binge or heavy drinker, it is highly possible that you often consume very high levels of ethanol, which come in the form of wines, spirits or beer. As a binge drinker, you consume this psychoactive substance in very high amounts but in very short periods. It is almost like drinking large amounts of water within a short period when really thirsty. As a result, your body becomes highly intoxicated all at once and hence you experience the effects of alcohol all at the same time. The continuation of such drinking tendencies will cause you to be more of a binge drinker than a moderate one, since you are used to getting the effects very fast. With time, your nervous system will get used to getting irritated and excited that fast and rapidly. 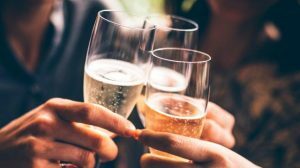 Being a heavy drinker is not much different since you tend to drink very high alcohol amounts for longer periods of time, unlike the binge drinker. It is almost like drinking a lot of water now and then and often refilling the bottle once water runs out. With this habit, your system starts getting used to the high levels of intoxication that last for longer periods. Becoming a moderate drinker at this level is quite impossible since your system enjoys being high for long periods. Hence, the irritation and excitement that your system gets used to is that of high levels, for longer periods. These two drinking patterns are dangerous since they are the reasons behind the continuation of alcohol abuse. This later develops into alcoholism, since the more your nervous system adapts to the excitement and irritation, the more your entire body develops alcohol tolerance. With time, due to increased tolerance, you continually increase your alcohol amounts to higher levels. If you are a binge drinker, you will take higher alcohol amounts in the same period as before. Similarly, if you are a heavy drinker, you will tend to empty your bottle faster than before and take on another one. The binge and heavy drinking does not just happen overnight. It begins with those days that you feel miserable and want your thoughts to get distracted for a minute. It could be you have lost someone, have work pressure, want feel happy for once or are just going through life stress that you cannot handle. From the several times that you drink this much, you may build a routine. 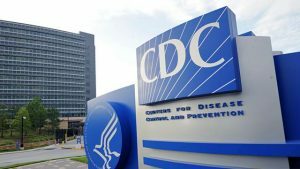 The Centers for Disease Control and Prevention are quite clear about the type of drinking that leads to addiction and further withdrawal symptoms upon halting or reducing consumption. If you are a heavy drinker it means that you consume more 8 drinks as a lady and more than 15 as a man in one week. Binge drinking translates to more than 4 drinks in one sitting for ladies, while 5 or more for the men. 5 ounces of distilled liquor or spirits. They may include whiskey, rum, gin or vodka. In support of all the above information, here are some facts about alcohol abuse and addiction. Various studies by medical bodies indicate that about sixteen million and six hundred thousand people in America suffered from alcohol use disorder in 2013. The Centers for Disease Control and Prevention published that excessive consumption of alcohol caused the deaths on one in every ten working adults. This took place in the years between 2006 and 2010 and the individuals were aged between 20 and 64 years. Medical studies further indicate that alcohol deaths are preventable but sadly the substance is the third leading death cause, since about eighty-eight thousand people die yearly out of issues related to alcohol. As mentioned above, consuming alcohol in excessive amounts affects the functionality of your nervous system, as it adapts to the excitement and irritation that alcohol causes. As time goes by, your excessive drinking may increase because as you develop a tolerance, your body demands for more alcohol. At this stage, you may notice that you like drinking on a daily basis. However, despite the bad drinking habits, you may reach a stage where you feel lost due to too much alcohol intake and want to change. This means that you drastically decrease your alcohol intake or cut it off completely. So, how does your body respond to such sudden changes after getting addicted to alcohol? Denying your body its daily dosage of alcohol will cause it to react through the alcohol withdrawal syndrome (AWS). This syndrome involves the onset of withdrawal symptoms, which come as a message that your body needs something it is used to. The onset of all the above symptoms takes place in stages, as you continue to withdraw from alcohol. They begin with the less severe and continue to the most severe as time proceeds. This stage is mild and hence may not be as intense as the rest. Within the first 6 to 8 hours of not consuming alcohol, your body begins to exhibit symptoms such as nausea and vomiting, abdominal pain, insomnia, fatigue, loss of appetite, tremors, mood swings, heart palpitations, foggy thinking and anxiety, among others. Stage 2 is bit moderate, where the symptoms are not mild and not severe as well. As time goes on, other symptoms join between a period of 24 to 72 hours, which include; confusion, increased body temperature and respiration, unusual heart rate, sweating, heightened mood disturbances, irritability and high blood pressure, among others. This stage is quite severe and hence called delirium tremens. Within the next 2-4 days after stage 2, the withdrawal symptoms graduate to cause severe problems like agitation, seizures, hallucinations and fever. Within the next 5-7 days, the symptoms may decrease. As you begin alcohol abuse, you may have the company of friends who you often meet with to drink more from time to time. With the passage of time, the two of you may develop tolerance and thus will intake without even realizing it. The length of time that you drank—abusing the same drug may have led to drinking together with your friends most of the times. However, this hardly means that the length of your drinking is exactly the same. So your syndromes will differ due to different lengths. Medical history– you and you drinking company will rarely have the same medical history. As a result your withdrawal syndrome will not be the same. The amount you took each time– your body will build tolerance differently from another person’s body. This will cause a difference between the amounts you consume each time, even if you drink together all the time. Family history of addiction– having a family history of addiction will affect you differently from another person that does not have the same. Hence, even the urges to drink alcohol will be on different levels. As a result, the withdrawal symptoms that you and others experience will differ completely. To be precise, yours may be more severe. Co-occurring mental health disorder– the combination of mental health disorders like depression or anxiety and addiction results to a very bad situation that is harder to get out from. Hence, it is possible that the symptoms of withdrawal will be harder on you since they also cause further mental health problems. Childhood trauma- traumatic experiences from your childhood could torment you even in adulthood. As a result, the hallucinations that come during withdrawal period could torment you even more, making withdrawal period quite severe and hard. Level of alcohol dependence– the higher the dependency the higher the symptoms of the alcohol withdrawal syndrome. Therefore, you cannot compare with somebody with a mild addiction, while yours is quite severe. Mixing of other drugs– the mixing of alcohol with other drugs like marijuana makes this worse for you since you will suffer issues from both drugs. Marijuana will bring along its withdrawal symptoms which will combine with those of alcohol. In the end, your body will be in more torment than a person that did not combine drugs. It is impossible for the addiction specialist to just conclude that you suffer from alcohol withdrawal syndrome by just looking at you. He or she must be sure of the facts presented before making conclusions. Therefore, there are procedures to be followed when making this diagnosis. The above diagnosis is mostly conducted during the assessment period, just before your admission into a rehabilitation center. It is very important because it enlightens the treatment team about your level of addiction, the severity of the withdrawal symptoms and how to help you push through the withdrawal period. Therefore, regardless of the shame that you may feel, it is very important to be honest and vulnerable so that you can get the most appropriate treatment that you deserve. According to multiple addiction specialists, refusing to seek treatment after the onset of AWS can be detrimental to your health on a long term basis. You may develop brain damage or die due to the severity of your withdrawal symptoms especially if your addiction is severe. If your addiction is moderate, it is still very important to seek medical help since you actually suffer from a syndrome that could damage your body organs. What’s more, these issues may remain dormant for years and make you believe that you are healthy. Unfortunately, they will surface later on and put you through torment. From the above information, alcohol withdrawal syndrome is very treatable and thus you should dedicate yourself to escape all the above problems in the future. The approach used to treat you is dependent upon the symptoms severity. If mild, you may receive treatment from home, which is mostly through the outpatient treatment program. However, the moderate and severe symptoms are risky and thus require you to get hospitalized. The mild AWS symptoms are manageable at home. In this setting, you need supportive people around you who take care of you as the symptoms kick in and take over. During this period, your caretakers are supposed to be very observant just in case the symptoms worsen. Since nursing the withdrawal symptoms is not enough, you must visit an outpatient treatment facility that offers counseling. During these visits, there are routine blood tests that are carried out just to ensure that your blood stays clean and check for development of medical problems. This home care approach to treatment is good since it allows you to participate fully in your life activities. However, if your environment seems to tempt you to relapse, it is advisable to talk to your doctor since there are other ways of avoiding such temptations. Getting hospitalized is the same as being admitted in an inpatient rehabilitation center. This approach is mostly useful if your symptoms are severe since you must stay under your doctor’s care throughout. The doctor is responsible for your wellbeing through the management of your complications and prevention of death. Benzodiazepines such as Valium, Klonopin, Ativan and Xanax. They are mostly sedatives, which also prevent seizures while suppressing other multiple AWS symptoms. Vitamins- as an alcoholic, it is highly likely that you lack nutrients and your body, which causes you to have severe complications. Therefore, your doctor may recommend vitamins to help in preventing Wernicke-Korsakoff syndrome. The multivitamin should be accompanied by folic and thiamine acid. Anticonvulsants- these are also effective in controlling the life threatening effects. Their consumption should be limited though since they may increase the occurrence of seizures in the longterm. Clonidine- this should be combined with benzodiazepines since they are effecting in suppressing the AWS symptoms. Antipsychotics- these include drugs like haloperidol. They may be used together with benzodiazepines in the control of psychosis and agitation. Unfortunately, they may lower the seizure threshold and thus worsen the withdrawal. Particularly, Olanzapine, clozapine and low-potency phenothiazine should be used cautiously. Persons suffering from alcohol withdrawal syndrome have recovered especially after seeking treatment on time. Therefore, it is not late to quit alcohol, seek treatment a better life. However, having a good outlook does not mean that you are in the clear. You may as well experience fatigue, sleep disturbances and fatigue that could proceed for months. From all the above, it is evident that the best means to avoid alcohol withdrawal syndrome to keep off the regular heavy drinking. If your friends tend to influence you a lot and cause your heavy drinking, it is important to re-evaluate your definition of friendship. It is meant to help you grow, not derail you. If you feel you are headed towards addiction and are unable to control your urges, seek medical care as well as counseling early enough. Do not wait to get to the severe stage for you to realize your problem. In the end, target resuming your life back. In conclusion, alcohol withdrawal syndrome is a problem that can cause so many other problems if not well managed. But first, you can avoid it by simply analyzing your drinking pattern. If they resemble those that lead to this syndrome, you need to change. However, if you are already in this pit, get up and target a healthy life. It may not be easy, but it will never be in vain.